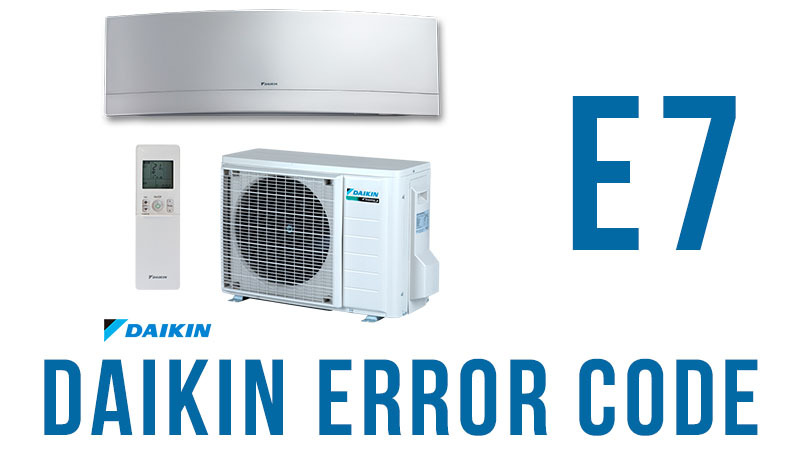 E7 indicates that the fan motor in the outdoor unit is not working properly. Particularly, this can be due to the fan’s speed dropping below the specified limit for 15 seconds or more, and there seems to be nothing to stop the fan motor from working properly. Once the problem occurs for the fourth time, the system shuts down. In clearing condition, it normally operates for 5 minutes.